As the vape phenomenon was bursting into life, early Chinese-manufactured devices were accused of being Trojan Horses. The media is now using similar arguments against new Heat-Not-Burn (HNB) products. During late 2013/early 2014, lazy journalists recycled fears about an imminent Chinese attack on the nation’s home computers. “Now e-cigarettes can give you malware,” screamed one headline, hysterically. Vapers and smokers do not really care all that much about packaging, but tobacco controllers are obsessed with it. As was recently reported, FDA’s latest crackdown on vapor products focuses on packaging that supposedly attracts children. The ostensible concern is e-liquid packaging that might be mistaken for food items and accidentally consumed by young children. But only three or four of the targeted packages actually fit that description and only one (which looks like a juice box) really seems to pose a particularly high risk. AUSTRALIA was a world leader in tobacco control over recent decades and smoking rates fell steadily. Mike Daube and colleagues should be rightly proud of their efforts at the helm of tobacco control during this time. However, despite the highest cigarette prices in the world, plain packaging and comprehensive tobacco control policies, Australian smoking rates have stalled for the first time in decades, while declines accelerated in some other countries such as the US. Harm reduction advocates are criticizing lawmakers in New York state for conflating combustible tobacco with vaping in their latest effort to restrict access. The Albany County Legislature voted 26-11 Monday to ban the sale of all tobacco and nicotine products from certain grocery stores and all pharmacies in Albany and surrounding communities. With little fanfare late last month, the Ontario government under Premier Kathleen Wynne moved ahead with regulations that will have a profound impact on the ability for adult smokers to switch to electronic cigarettes. When the new regulations come into force — which the government just announced will happen on July 1 — they will paradoxically erect roadblocks to the province’s goal of creating a smoke-free Ontario. Regulations-heavy Germany has taken a surprisingly lax stance on e-cigarettes and vaping laws. It’s the right approach, writes a policy analyst. They are slowly taking over the streets, parks and train platforms of Berlin and other cities, exhaling their sweet candle-like aerosol and watching it waft away. Vapers! People who have substituted cigarettes for so-called e-cigarettes, and smoke for vapor. With use of e-cigarettes having been legalised in New Zealand, a UNSW medical researcher has challenged one of the leading arguments for a continuing ban in Australia – that nicotine vaping causes young people to take up smoking. In a letter published in the Medical Journal of Australia, UNSW Conjoint Associate Professor Colin Mendelsohn says recent international reviews show that vaping is actually doing the opposite and diverting adolescents away from smoking. As you’ve probably guessed, the team at Heat not Burn UK take a keen interest in anything related to heated tobacco products, so we’re always watching the news to see if anyone’s saying anything we think you should know about. Sometimes we find a big story, and we’ll always let you know about that right away. Other times we just feel like giving you an update on what’s happening. Well. This is it. Today is the last day of the transition period. Tomorrow, May 20th, is the day when any non-notified vaping product can no longer be legally sold. Tomorrow is when the new legislation will really start to bite. Prior to the EU’s disastrous Tobacco Products Directive (TPD) – overseen by a crook and driven through by vacuous MEPs – e-cigs operated as a consumer product in a bustling and innovative free market. It was not – despite what tobacco control liars say – unregulated considering manufacturers were abiding by 20 or so consumer product regulations. The results were stunning! Latest figures for the UK show that there are now 2.9 million vapers, of which over half of them have quit smoking entirely. This spectacular success all ends tomorrow. The same rubbish repeated over and over and over again. 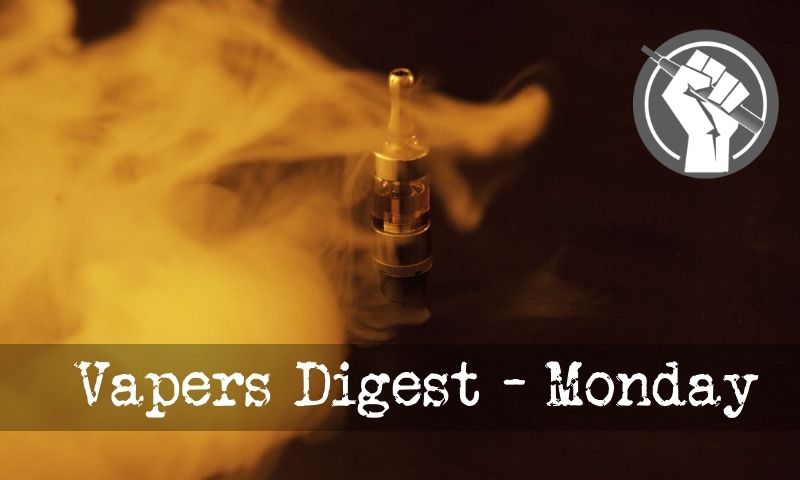 How long will vapers have to put up with misinformation being spewed out from disingenuous sources: a literal flood of falsehood; a deluge of deception, and when created by the pens of ‘professional’ critics – murderous misconceptions. What exactly do I mean by this..?